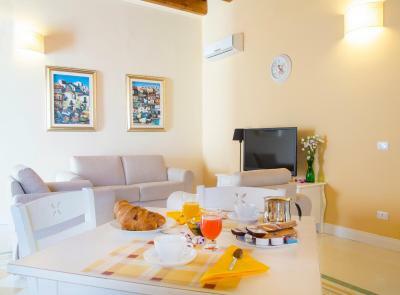 Lock in a great price for B&B Monsignore – rated 9.3 by recent guests! Great location in the old town, but only a block away from a drop off point for your luggage. Many excellent restaurants nearby, but our room had great soundproofing so no noise issues. 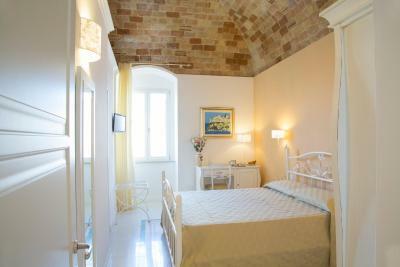 Lovely clean room in the historic centre. Very friendly and accommodating staff. Nice, simple breakfast. 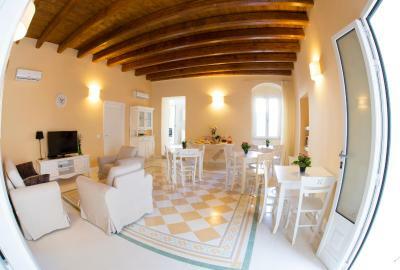 High ceilings and beautiful traditional tiling on the floors made the rooms feel very nice. 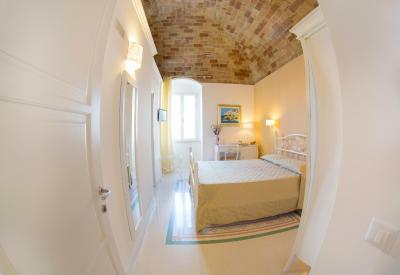 The B&B is in a beautiful old building close to the harbour. 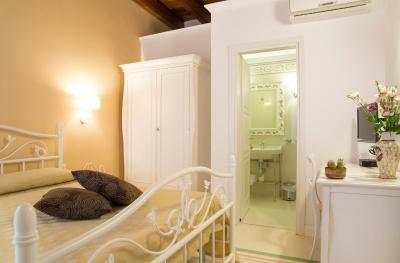 The rooms are beautifully appointed and comfortable. Our hosts were delightful and tried to accommodate any requests we had, despite our language differences. Breakfast was really good with a range of choices to suit all tastes. Rooms was pretty, spacious and clean. Great staff, fantastic location. Owner of B&B was welcoming. The location is great and there was parking about 15 mins walk from the the B & B lively town and comfortable place to stay. Rosa could not have been more welcoming or more helpful. 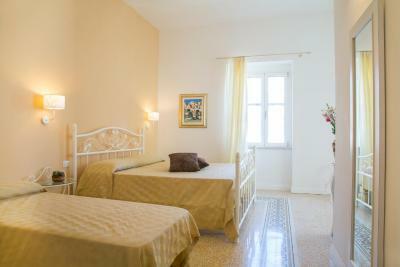 The room was really comfortable, beautifully decorated and so clean and well cared for. The aircon worked really well- important because it was really hot and humid while we were there. The B and B was in a great position in the middle of the old town and really close to a number of really great restaurants and bars. The provided breakfast was also really good. The facilities were modern and very clean. 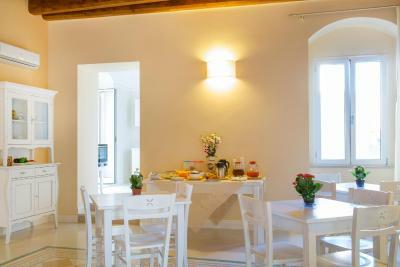 The property was also very quiet and therefore our stay was extremely relaxing. The breakfast was also very enjoyable. Super clean. 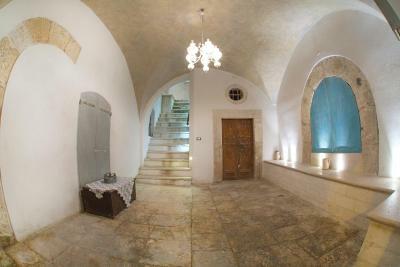 Renovated. Just in the heart of old town. 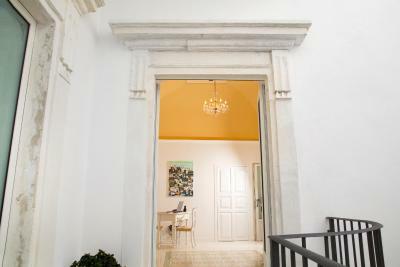 Stylish room in a beautifully renovated old building. Interiors are top-quality and very elegant. We appreciated access to the kitchen and breakfast room to prepare Baby Food. Very friendly owner. 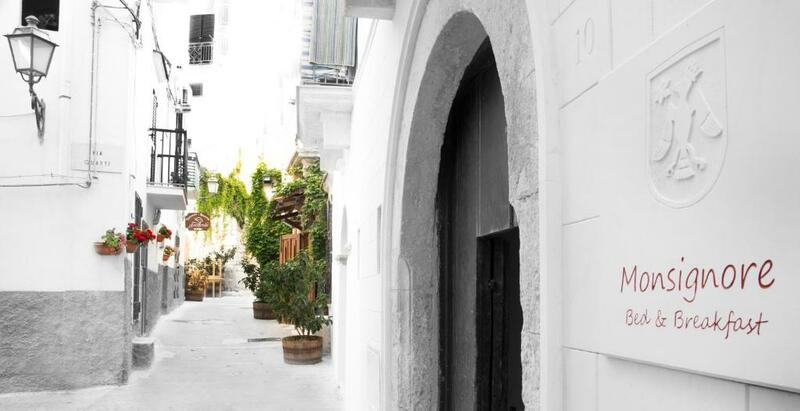 One of our top picks in Vieste.Set in an 18th-century building in Vieste’s historic center, B&B Monsignore offers classically furnished rooms. The sandy beach is a 15-minute walk away. 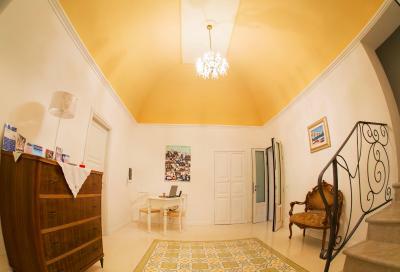 Rooms are equipped with air conditioning and satellite TV, some have a balcony. 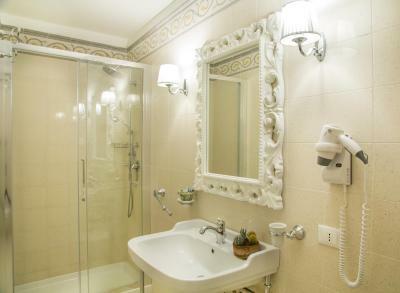 The private bathroom includes a shower, hairdryer and free toiletries. 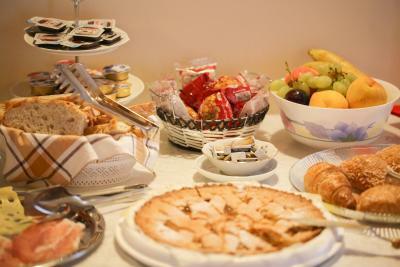 Breakfast is provided daily and includes sweet items. The Monsignore is 650 feet Vieste Cathedral. 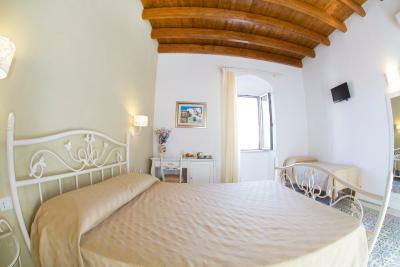 Vieste Castle is 3 minutes’ walk away. 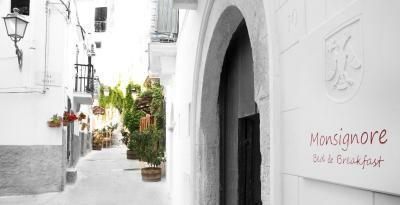 This is our guests' favorite part of Vieste, according to independent reviews. 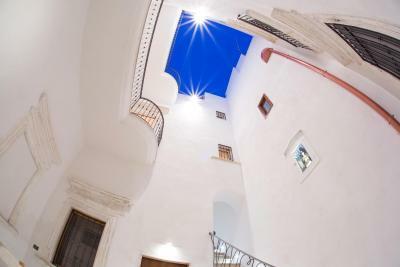 This property also has one of the top-rated locations in Vieste! Guests are happier about it compared to other properties in the area. 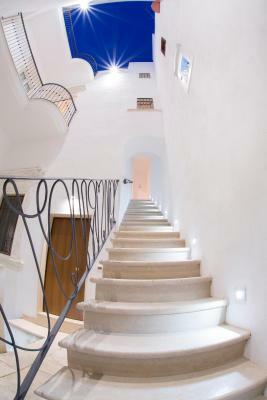 This property is also rated for the best value in Vieste! Guests are getting more for their money when compared to other properties in this city. 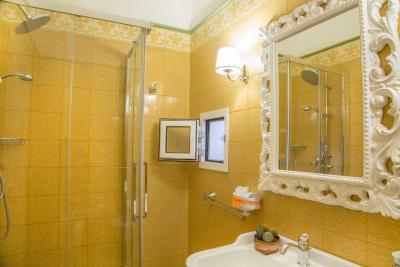 뀐 Located in the top-rated area in Vieste, this property has an excellent location score of 9.5! 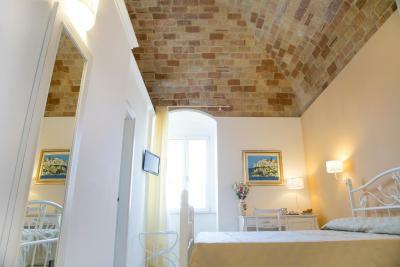 When would you like to stay at B&B Monsignore? 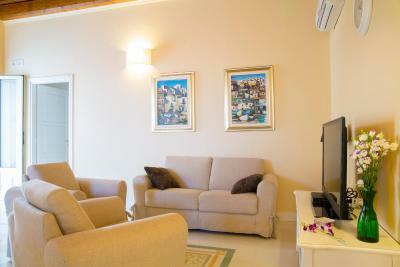 This air-conditioned room features a satellite flat-screen TV and a private bathroom. 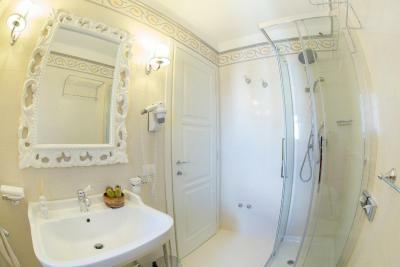 This air-conditioned room features a satellite flat-screen TV and private bathroom. 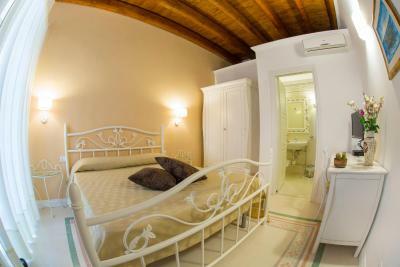 This air-conditioned room comes with a balcony and a flat-screen TV. House Rules B&B Monsignore takes special requests – add in the next step! B&amp;B Monsignore accepts these cards and reserves the right to temporarily hold an amount prior to arrival. B&B Monsignore accepts these cards and reserves the right to temporarily hold an amount prior to arrival. Please note that the rooms are accessed via steps and may be unsuitable for guests with limited mobility. Nice breakfast. Warm friendly staff. Noise from the street was occasionally disruptive at night. Nothing really...although we did get some crossed wires in directions/information because we could not communicate well. There is noise from the streets below until late each night, but closing the windows (double insulated) will rectify that. Fridge provided but no glasses. This was quickly rectified. Comfy bed. Good aircon. Fridge. Great location. 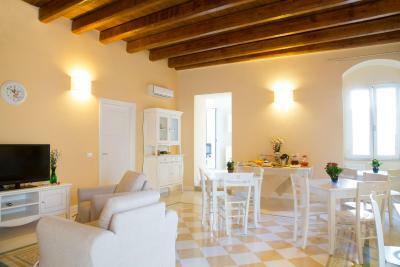 It is in an excellent location in the old town. Slightly difficult to find when we first arrived, but easy after that. 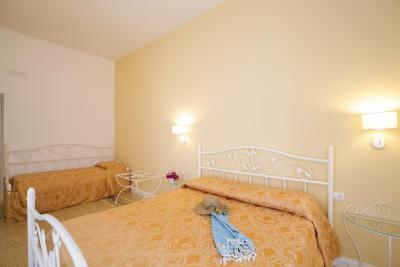 There are numerous shops and restaurants nearby, and it is only a few minutes walk from the sea. It is very clean and well-maintained. The breakfast was nicely presented, with a good choice of food. The staff were friendly, and we particularly appreciated the help they gave us with our cases. There’s no car access to the property. Nice, central location, free bikes. The only issue are the 39 steps to get to the B and B. Thankfully my husband was happy to get the bags up ( Rosa also offered to help!) but these could be an issue if you have a disability. This is not a major comment and it did not impact our stay, however there were quite a few stairs to our room. The landlord carried some of our bags to the room so this was very much appreciated. The problem we had with B &B Monsignore, was that the largest festival of the year was taking place during our stay. The streets were closed, so it took over an hour to find parking. We finally parked in a restaurant parking lot near a small boat marina. So we had to constantly check on the safety of our car. The festival activities went on into the early morning hours, then started again after sunrise, including incredibly loud fireworks which continually startled us. We had just come from Calendimaggio in Assisi.......A 4 day & night spring festival.We intentionally planned our trip to coincide w/Calendimaggio. But then I did an internet search, to make sure that we didn’t cross paths w/any other festivals. (I knew we were gonna need some quiet and recovery time.) The Vieste festival never came up in my search. Even while in Vieste, I searched for info about the festival and couldn’t find anything. When an event of this magnitude is taking place, I think it’s the responsibility of the owner/manager to inform guests of any publicly scheduled event, at the time the reservation is made. Had we known about this huge annual festival, we wouldn’t have stayed in Vieste. Also not confirmed.......This B & B is on the 3rd (3) floor or a building w/o an elevator. The steep, narrow stairs are difficult to navigate for anyone who is mobility-challenged. 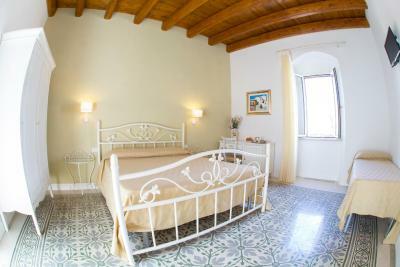 B&B Monsignore is a beautiful little B&B near the main square in Vieste. We had the room w/a queen bed + 1 twin bed. The room was very spacious, w/high ceilings and sufficient space for movement. 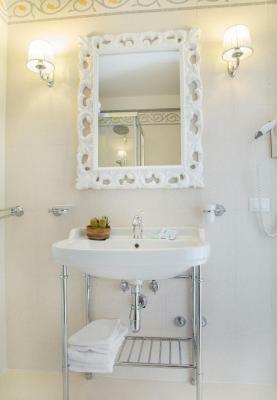 The room was beautifully decorated w/white furniture and a patterned tile floor. The beds were OK.....Very firm, but no cushioning. The bathroom was also very spacious. 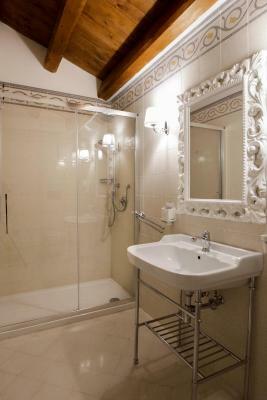 The shower was huge relative to Italian standards. It was the only shower we’ve ever experienced in Italy, where we could actually turn around and/or bend over in it. Beautiful tile flooring and updated sink & toilets. 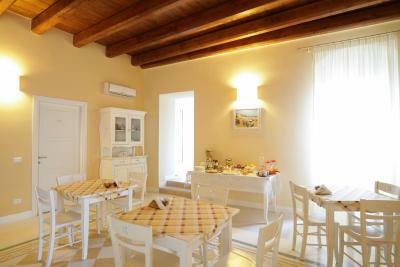 The breakfast room was also very spacious, w/about 5 tables for eating. It included a comfortable seating/sofa area for non- breakfast hours. The breakfast was generous and good. 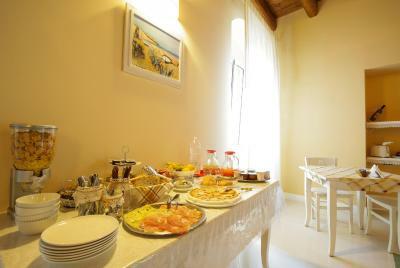 Fresh fruit, pastries & breads, lunch meats & cheeses, juices, etc....,Standard Italian breakfast. A very sweet and friendly young woman took our coffee orders, and served them at our table. 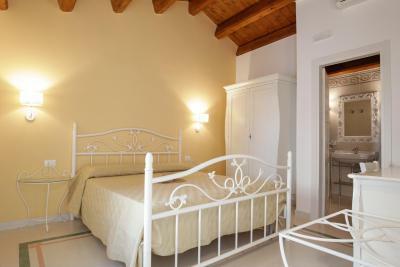 All and all, B &B Monsignore is a beautiful, comfortable and reasonably priced B & B.